Beachcities KidsGames Camp is sponsored by Beachcities Community Church – but don’t get fooled into thinking this is some run-of-the-mill bible camp. You almost forget that there is a religious message lurking behind all the fun that is offered by this camp. What really sets KidsGames Camp apart is the offer of electives for each camper – making this a very personalized experience, particularly if your child does not fit into the one size fits all mold. KidsGames is geared towards children in grades 1-5 but there is a program for younger children. Electives include Art, Basketball, Boot Camp, Cheer, Cooking, Cupcake, Wars, Flag Football, Gymnastics, Volleyball, Dance, Soccer, Karate, Lego Engineering, Musical Theater, Photography & Science. The groups are not co-ed and electives are open to boys or girls only; no mixed electives. 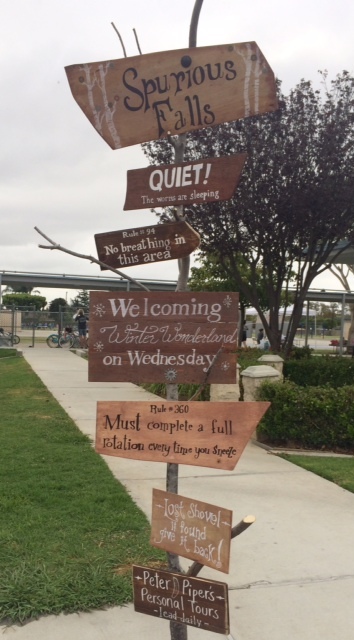 The theme this year is The Curious Story of Spurious Falls which is communicated by various signage and activities throughout the camp. The campers are divided into two groups: Hornswagglers and Hoodwinkers, which makes for friendly competition throughout the week. Each morning at KidsGames, camp begins with a rousing session of popular music and the Guides – camp counselors – lead a high energy pep rally to get the campers psyched as they line up with their respective groups. 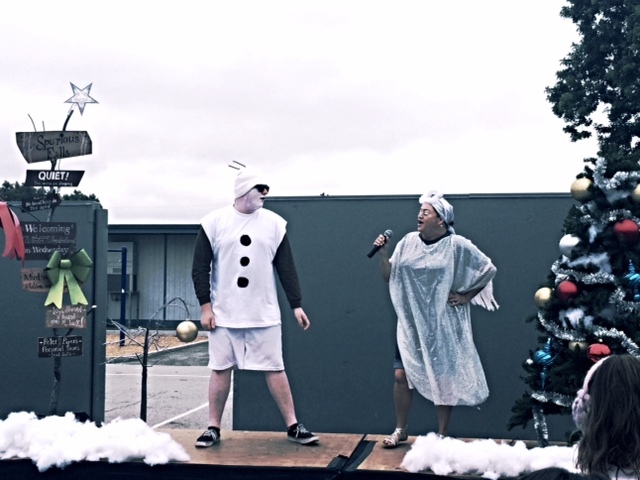 Each day is themed – there was Crazy Hair & Hat Day, where the campers and staff got all decked out in their craziest caps for some hair-raising fun; Winter Wonderland, where Santa hats and Christmas sweaters (in Summer!) reigned supreme; All White Day, where campers and staff donned all white outfits only to get doused in colorful powder (yes, it washes out!) 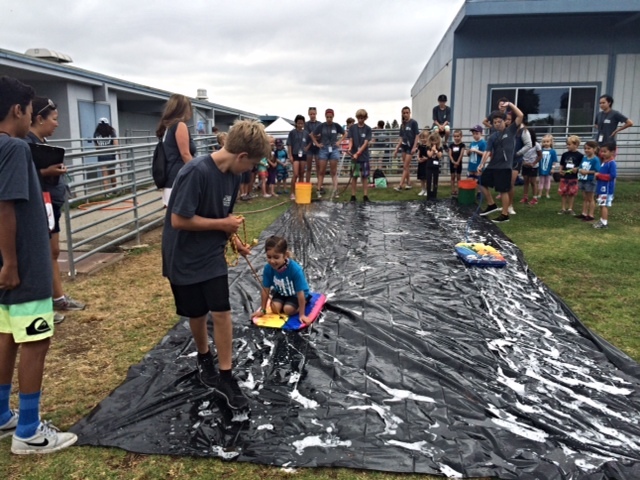 and to wrap up the week, Water Day, with an array of activities including slip and slide to ensure some cool, wet fun. 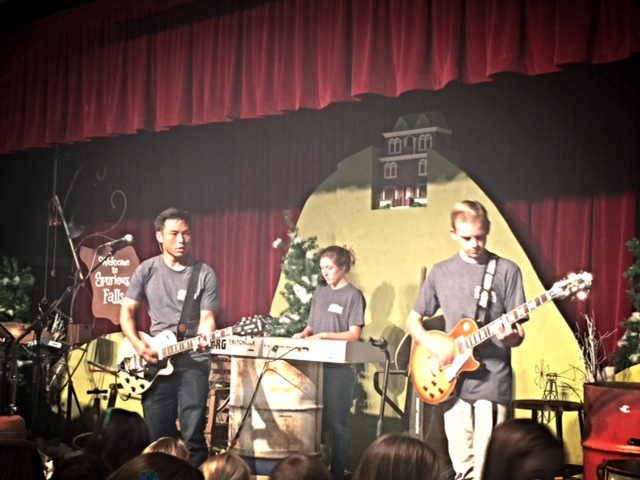 After opening ceremonies, the kids start their day with either their chosen elective, various camp games or a religious ceremony that includes a Christian rock band and viewing of a religious movie. They rotate through the itinerary with their group over the course of the day which runs 8:30am-12:30pm. Snack is included in the price, which is $115 for the week and includes a T-shirt and a dinner ticket for the closing ceremony which takes place in the evening on Friday. 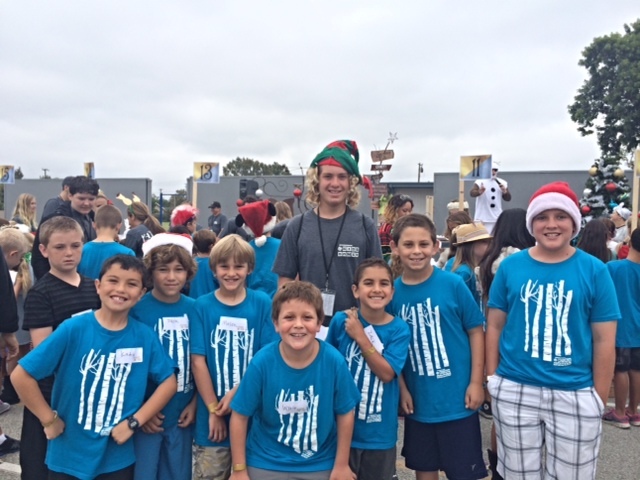 My son (9) chose the Lego Engineering elective and loved the experience. 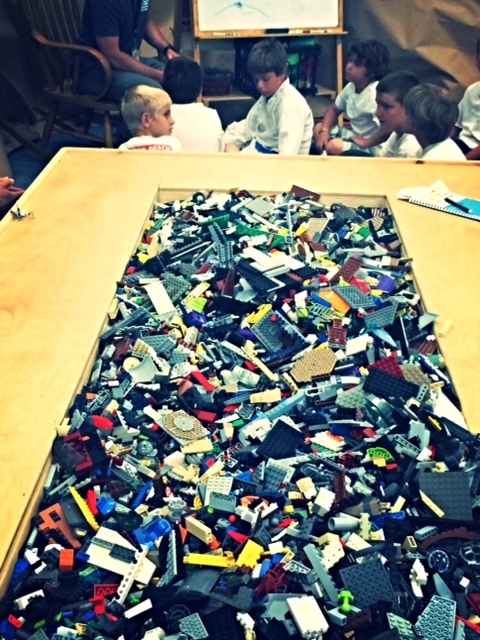 They worked on building a car made entirely of Lego that they would race against each other at the end of the week. There was a Lego-savvy teacher to help them along the way and with the smell of a competitive race in the air, my son was stoked to work hard on his creation. To wrap up the week, campers and their families are invited to an evening reception to show off their projects, say their goodbyes to the friends they made during the week and enjoy dinner and snacks with their new friends. 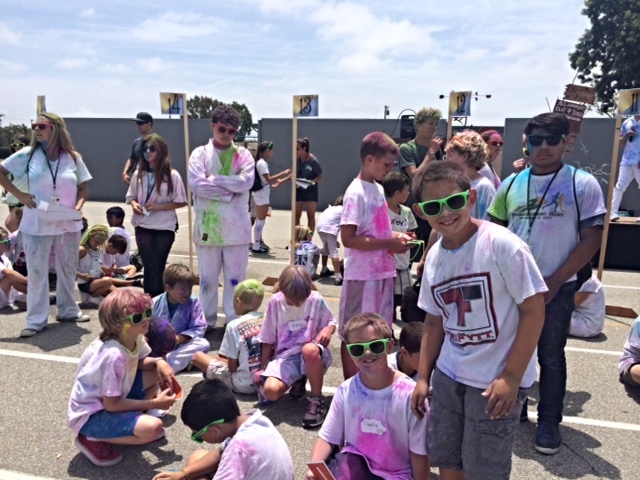 For those who missed week one of Beachcities KidsGames Camp, there is a second week available July 14-18 and it will be held at Smith Elementary School (770 17th Street, Huntington Beach, CA 92648). Robin Wachner serves as the Communications Director for the OC Fair & Event Center where she oversees all media relations, social media and communications efforts for the annual Fair as well as year-round events. A native New Yorker, Robin graduated from New York University with a Bachelor of Science degree. Prior to joining the OC Fair team, Robin worked for buy.com, Western Growers, The Queen Mary and Disney Channel.